Our blog is where Bairo shares what’s on our mind, ideas and news. Whether people think you’re doing a outstanding job or a noxious one, there’s no way to hide from your reputation anymore. 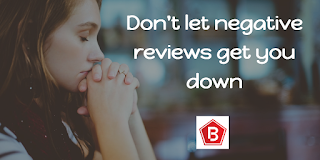 Prospective customers can now see the collective history of a business’s ability to keep its customers happy 24 hours a day via online reviews. Google's goal has been to model the real world. It aims to reward the companies that are the most popular and prominent within their own market areas — those that are the most highly regarded by their customers, considered to among the best. That's exactly is what searchers are looking for in search results. In today's online environment, there are many factors that can cost a brand opportunity. 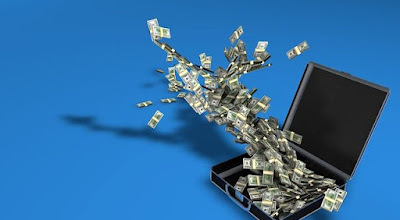 What might negative search results cost you? We can help you figure that out. Protect your brand’s rankings, reputation, and revenue by staying on top of Key Performance Indicators (KPIs) that help you identify winning locations and those that are under performing. Digital marketing is ever-changing. 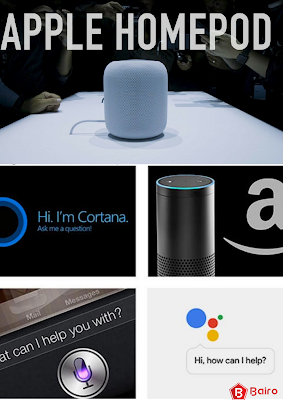 Voice Technologies like Apple's Homepod, Google Home, Amazon Echo are continuing to mature and is defining future of searches as its easy for consumers to say than to type it. Voice services served through above digital assistants on smartphones and home assistants are tapped for day-to-day things now. Voice searches on Google are three times more likely to be local-based and 30 times more likely to be action-oriented than text-based searches. The result is that content and context (aka semantic search) are replacing traditional search-optimized keywords and phrases. Most voice search queries focus on the 5 W’s + 1 H: who, what, when, where, why and how. To take advantage of voice search optimizations you need better coding, fast websites, and top-notch marketing. One in three people—2.48 billion~ worldwide used a social network in 2017, according to eMarketer estimates. 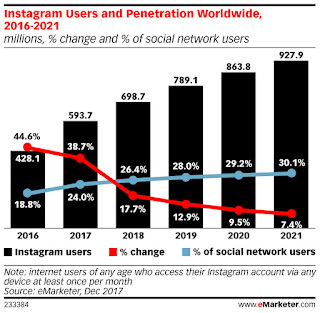 Nearly 594 million people worldwide used Instagram regularly in 2017, representing about a quarter (24.0%) of total social network users. We now have more devices connected to the internet than people, and with this, we have artificial intelligence and data exchange. This marks Marketing and managing digital outreach of your brand or organization is today's world more than important. 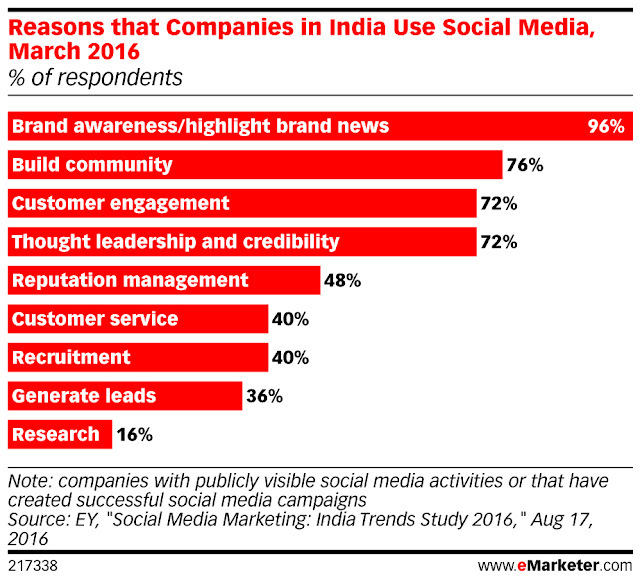 Here are the survey results of social media savvy organizations in India that have publicly visible social activities or have created successful social media campaigns. Avail Bairo marketing services and see if our team of industry experts can assist your business with that path towards prosperity. Organic social: Using social platforms to share content and interact with consumers via brand pages or accounts, create and manage branded communities, distribute content, perform customer service, and monitor sentiment and conversation. Does not include influencer marketing. Paid social: Spending media dollars to place ads on social platforms, such as Facebook in-feed ads and video ads, Twitter Promoted Tweets, Snap Ads and Instagram ads. Brands need to take consultation of digital marketing agency who have their own dedicated teams constantly working on the recent social marketing trends and updates. 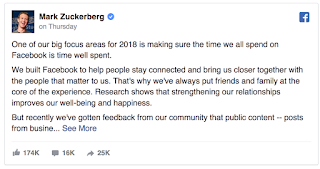 Facebook Inc. said its making changes to Facebook’s algorithm and will prioritize posts that spark back-and-forth discussion or inspire people to share and react. So what it means for Brands ? Although this means Facebook will show less public content, including videos and other posts from publishers or businesses that may affect brands. Facebook’s user base operates in a different manner than other digital marketing channels, such as search or display. Working with our clients, we find that Live videos on average get six times as many interactions as regular videos and this interaction is what Facebook's new algorithm is looking for now. This is the reason why brands need to take consultation of digital marketing agencywho have their own dedicated teams constantly working on the recent marketing trends and updates.